Now which person in their right mind would give up their Sunday morning sleep to head to a workshop? 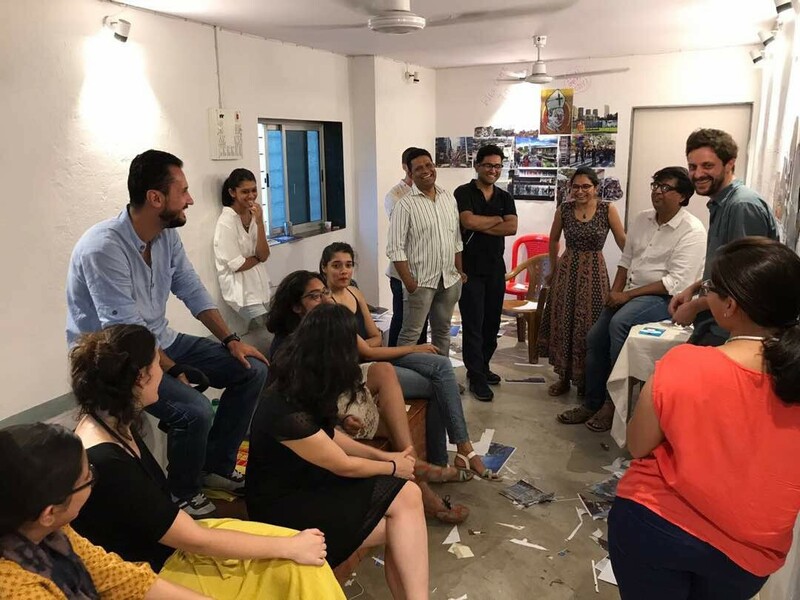 Apparently many did, including me, when Urbz organised their latest edition of a Mashup, this time a collaborative effort between Urbz Bogota and Urbz Mumbai. The two ostensibly different cities have so much in common when you look beneath the surface. Both cities are as vibrant and similar in more ways than you can imagine- whether it's BEST or TransMilenio, the favela or the jhuggi jhopri, the ubiquitous street vendors or the torrential rains that the city dwellers share a love-hate relationship with, the general cultural vibe or the welcoming spirit of its dwellers- Mumbai and Bogota are cities with one soul, divided by two continents. The concept of a mashup is to underscore the commonalities between most cities across the globe and the dynamics that dictate the interaction between its people and all the necessary ingredients that create a cacophonous cocktail known as the urban. Constantly expanding cities share similarities that are not just spatial but also in terms of how the fine fabric of most growing metropolises across the globe is continually woven in identical patterns. Andres Sanchez, an architect from Bogota and Jairo, a Graphic Designer and specialist in Video and Digital Technologies, both from the Urbz Bogota team, introduced the magnificent city and gave the participants a virtual tour of the city, its geography, walked us through its political history and acquainted us with relatable aspects of the city's socio-cultural landscape. The audience comprised individuals who are architects, photographers, designers, urbanists and students. We drew, cut, sliced and pasted parallels between the cities of Bogota and Mumbai in the day long workshop. The mashup involved three teams weaving urban stories using pictures of people, activities, settlements, houses stacked on top of another like a bunch of cardboard boxes et al. The stories were as magic realist as they could get, creating a beautiful parallel world in which one could walk from a quaint gully in Dharavi right into the Bolivar square courtyard. Street vendors of Bogota and Mumbai squatted amiably in each other's territories. The teams brought to fore the beauty in the supposed flaws of the city, for each of us to see how intrinsically similar both the cities are. The day began with Andres and Jairo's virtual tour of Bogota, after which the second session comprised understanding the urban landscape of the city of Mumbai. The participants split into three teams and helped themselves to pictures of Mumbai- capturing the quaint and cosy courtyards between tightly packed houses to the camaraderie between folks reflecting the rich diversity that's quintessentially Mumbai. There were pictures that highlight the dichotomy of the old and new, rich and poor, urban and rural. The participants indulged in discussions spawned by the pictures they selected, captioned and mounted on the wall. It also led to a constructive dialogue on the need to recognise the contribution of local development to the overall economic development of city and also reiterated the need to harness the collective energy of communities that propels development of neighbourhoods. The final session of the day involved all the teams channeling their inner artists to build an imagined city where the both the cities converge and flow into each other seamlessly. 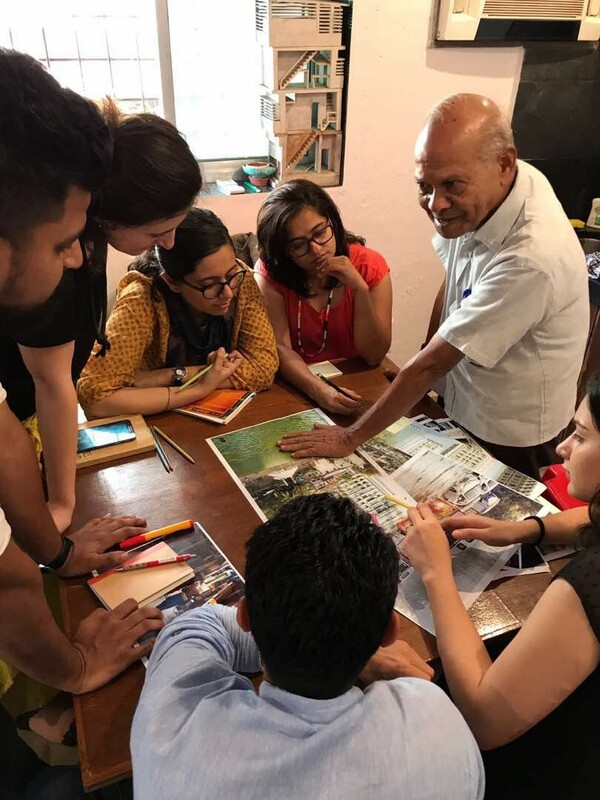 One of the teams conceived a city devoid of inequality, barriers and hierarchy while the other team, through their storytelling, brought to fore the harsh reality of life experienced by city and village dwellers who are at the crossroads of progress. As fun as the activities were, the one learning that I as a participant take back from the workshop was that the locals are the masters of their own neighbourhood. It is important to tap into the thoughts and aspirations of the very people that make an urban environment what it is in order to translate it into a lived reality that they expect and deserve.